It’s most likely that you set up your station with social media accounts at Twitter and Facebook a long time ago, and you have been dutifully posting content, but are you getting any return from your efforts there? You may have hundreds or even thousands of likers, but are they actually listening to your station? 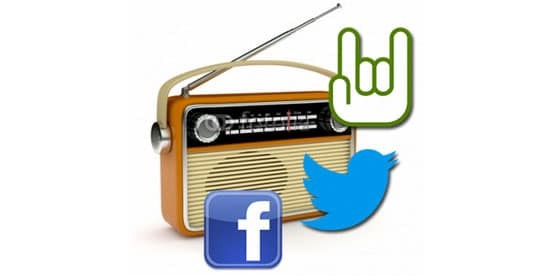 Radio stations, like TV stations have a very different objective to standard businesses when it comes to social media. There is no real promotion of products or websites, or encouraging followers to a physical location to purchase goods. The sole purpose is to get people to tune in to your broadcast, and that means a separate strategy is needed. The key to successful social media for radio is to share the best of your everyday content. Give your followers a look at what makes your station great. Post a clip of an especially hilarious or interesting segment that went down in your breakfast show, a picture or video of a famous guest in the studio, or a quick outline of any interesting upcoming content. Behind the scenes interviews or podcasts can also work well, as it rewards listeners, and encourages potential listeners. These things shouldn’t be viewed as ads, promos or teases. Instead consider them full form examples of the great original content your station provides day after day, all with the implied idea that if your followers like it, they know where to find more – at your stations frequency. While you can still try to use classic tricks like bribes and competition, the people you pull in wont stay for long. Marketing yourself by showcasing the best of your best is a sure-fire way to get the attention of people who are tuning in for the right reasons. These people are more likely to stick around to hear more of the original content they came for. Aside from pulling in new listeners, social media is a way to engage with your current ones. Many people today feel much more comfortable giving feedback via Twitter or Facebook, but would never have gone so far as to phone in their comments in times past. Engage these people, respond to them and foster a sense of community, this builds trust and loyalty. Social media can be a valuable tool if you don’t lose sight what you are trying to achieve with it, create a solid base of engaged, vocal listeners by posting quality, original content and watch your ratings grow.